Japanese sickle from Okatsune for clearing, hacking and harvesting. 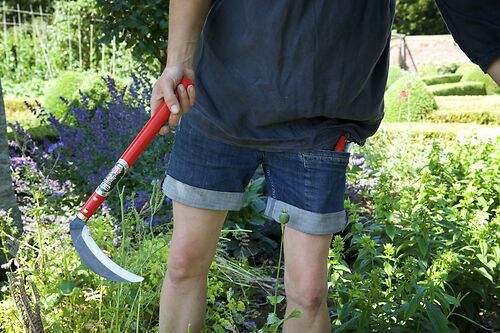 6" blade (15cm) and nice red handle so you can find it amongst the weeds. Comes with a vinyl cover for the blade. Red handle shows up when you lose it..